The Jotul F 220 stove is a contemporary model with a flue outlet either top,rear or side. a decor ring can hide the flue outlet area. There is 1 door on the front with a plain glass door. The top slants back wards forming a curve towards the top of the stove. 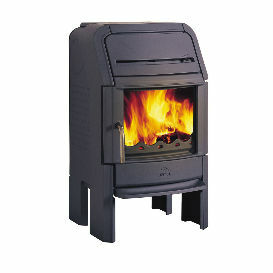 Stove expert replied: Other wood may well improve the stoves performance but overall this is a reasonable review.